Growing in Grace Podcast: 569. Are the 10 Commandments Written on Our Hearts? 569. 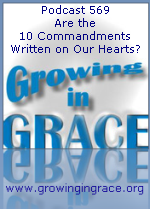 Are the 10 Commandments Written on Our Hearts? 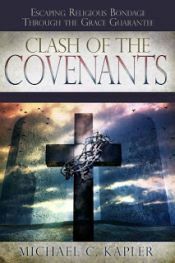 In reference to the New Covenant, you may have been told that God would put his law, commandments and statutes in our minds and write them on our hearts. However, in the same passage, God declared the New Covenant would not be like the one made with Israel when they were delivered out of Egypt. Since the old law brought death, condemnation and increased sin, why would God choose to write it on our hearts, since it could not provide life or righteousness to us? There was a change of law with the new priesthood of Jesus Christ, and it brought a new heart to us with a new ministry that would far surpass the old way.